Two other cars were then hit in secondary crashes before all the vehicles came to a stop. Ken Buffa reports. 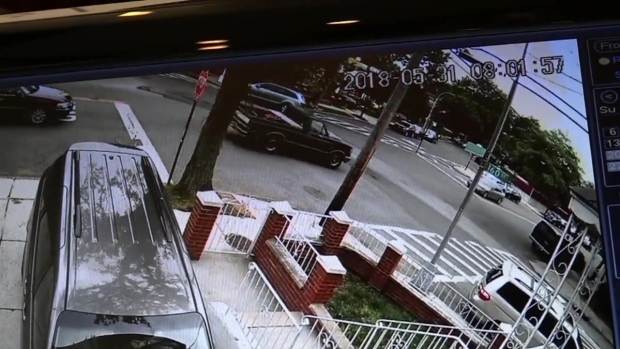 Two people were critically injured in a horrifying caught-on-camera crash in Queens Thursday morning that pulverized several vehicles, according to the NYPD. 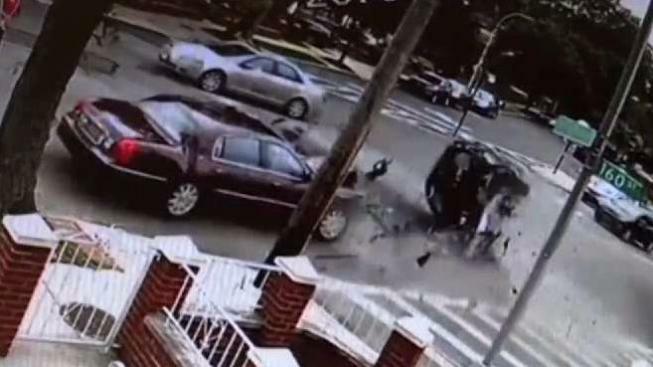 Footage from the scene in Whitestone shows a burgundy car turning around a five-pointed intersection at 160th Street and 21st Road before being sent flying back through the crossing after an impact with a second, heavily damaged SUV. Two other cars were then hit in secondary crashes before all the vehicles came to a stop. EMS took two people to New York Hospital Queens; their conditions weren't known. It's not clear what immediately led to the crash, or if any arrests have been made in the case, but neighbors said the intersection has long been a dangerous spot. "Kids can't play in front here," one witness said of the intersection. "Nobody can live their lives like they should." She added, "We’re going to have somebody be killed next time." NYPD records show that before Thursday, the last crash at the intersection was in April; that wreck also resulted in two injuries.